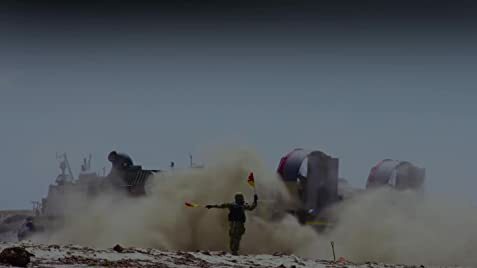 We, The Marines takes viewers on an action-packed adventure into the unparalleled experience of becoming and serving as a member of the U.S. Marine Corps. 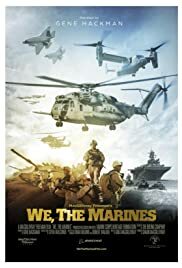 Narrated by former Marine and actor, Gene Hackman, the film honors something more than dedication and service; the film offers an unforgettable glimpse into the first-hand experiences of America's "first responders" and what it takes to become the men and women who honor and defend our country. Male Marine: We're Marines and that's what we're born and bred to do. I served '74 to '77. This isn't a history of the Marine Corps. It's a tribute to the Corps and those who have served. Just like a heroes statue it celebrates the good and honorable in what it portrays. For those looking for the darker parts of this or any other story there are innumerable sources elsewhere. I'm proud of the Corps and my service and this movie is something I can point others to that helps explain why. Semper Fi!